Light up deep dark spaces with a super-bright, ultra-compact unit. The City Rover 700 has a built-in battery that recharges quickly via a USB port. 5 modes let you adapt the light to conditions or use it for urban or off-road missions. And the lumen output is independently certified by Labsphere Illumia Light Measurement Systems, so you know it’s more than hype. 5 Modes: steady 200 lumens (8 hours), steady 350 lumens (4 hours), steady 700 lumens (2 hours), fast flashing (36 hours), pulse (16 hours). Side lighting helps keep you seen from odd angles. Extra 15 minutes of runtime in low power mode helps get you home, or at least to safety, after the low battery indicator comes on. Lumens and runtimes certified by Labsphere Illumia Light Measurement system to FL1 standard. IP66 weatherproof housing means if you're willing to ride in it, the City Rover 700 will light your way. Internal memory lets the light turn on in the last mode used. 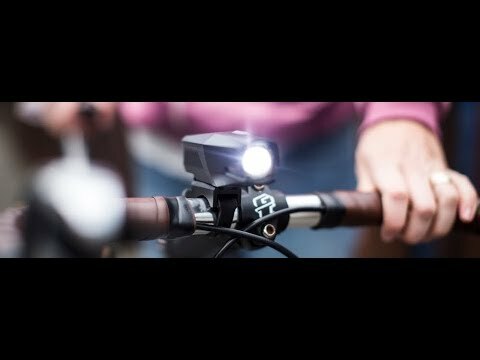 Includes the tool-free Mission Control 2.0 mount that makes switching bikes easy.